Breaking out of prison is a great set-up for any video game, and the upcoming A Way Out takes the concept and runs with it. The game is all about teamwork, just like a lot of classic prison-break movies and a certain hit TV series. Sure, Andy Dufresne might have escaped Shawshank on his lonesome, but in most cases, it takes more than one person to get over the wall. A Way Out ties into this in a brilliant way: it’s a co-op game only, with no single-player mode. This might be frustrating for those gamers who love to immerse themselves in a deep, engrossing solo experience, but it nevertheless means players will have to place their trust in a partner to escape – and survive on the outside. The story is set in the 1970s, and revolves around Leo and Vincent, two multi-skilled men who have to find their way out of prison and evade the authorities. Their tale is told at the same time, though players might not experience events at the exact same time: one of you may be in guiding their protagonist through one scenario, while another is doing something different. For example, one player could be watching a cut-scene featuring their character, while the other is actually in control of theirs. Both players will see Leo and Vincent’s perspectives together, in a split-screen format. This lets you keep track of what your partner is doing and should minimise confusion or frustrating separations. The game is directed by Josef Fares, who worked on the acclaimed Brothers: A Tale of Two Sons. Just as co-operation was crucial there, it will be just as essential here. All situations in the game can be tackled in a variety of ways, giving Leo and Vincent different tasks to complete. This can include such goals as Leo distracting a guard so Vincent can get by and find an essential item. It’s a terrific touch that means both players will have to stay alert and be ready to help their partner out, rather than looking for their chance to get ahead. You can play A Way Out locally with a friend sitting beside you, or online with a helper from across the globe. One particularly cool touch, though, is that you don’t need to have two copies of the game – just one player will have it, and invite their friend to join them. Hazelight Studios and EA could have tried to make it otherwise, but they went for an easier, more consumer-friendly option instead. However, both players will need an Xbox Live Gold or PlayStation Plus account to play, while those buying the PC version will have to be signed up with EA’s Origin. Whoever you play with, though, A Way Out looks absolutely fantastic, with diverse gameplay elements aplenty. The footage released so far shows Leo and Vincent in varied environments and situations, such as climbing through self-made tunnels within the prison itself, shimmying up walls back-to-back, and exploring the great outdoors. In these latter sequences, vehicular action comes into play, with high-octane car chases under a bright sky contrasting with the gritty prison-based portion of the game. We also see them fighting enemies, getting involved in gunfights, and generally doing everything you’d expect a pair of determined fugitives to do in a fictional adventure. A Way Out’s cinematic style and focus on narrative is clear, and at the very least, players can expect a deep, gripping story. This will be made more explosive considering how different Leo and Vincent’s personalities are: Leo is more prone to busting heads and getting fired up, whilst Vincent is cooler and calmer. Having the two conflicting characters should help to make the experience more exciting and engaging, as they continue to depend on each other while perhaps disagreeing with their partner’s behaviour. Leo and Vincent will react to situations and events differently, speak to other characters differently, and ultimately have their own goals. This is designed to help you form a stronger bond with your specific character and make the experience of playing through truly engaging, rather than just being cast as two generic grunts. Dialogue options will be available when interacting with NPCs in A Way Out, with your choices dictating how certain aspects of the game unfold. Situations can end differently on subsequent playthrough, depending on your actions and mistakes. Most of the controls are context-based, though certain actions (such as sprinting) are fixed. Certain mechanics that will only appear once have been put into the game, meaning the experience of playing will continually feel refreshing, preventing you from becoming locked into one style. Everything is meant to be as interactive as possible, using a narrative-driven approach without sacrificing the game’s playability. Without doubt, A Way Out looks like it could be one of the games of the year (already!) when it lands on March 23rd. 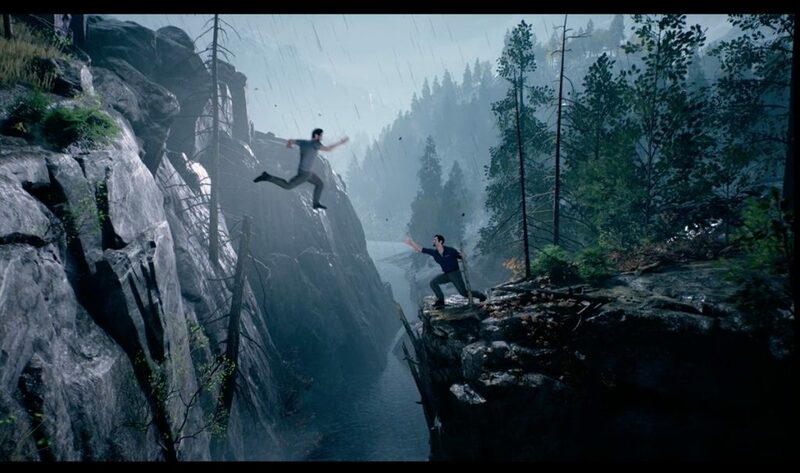 Josef Fares seems intent to make A Way Out a unique, unforgettable game – and from what we’ve seen so far, he and Hazelight Studios may have succeeded. 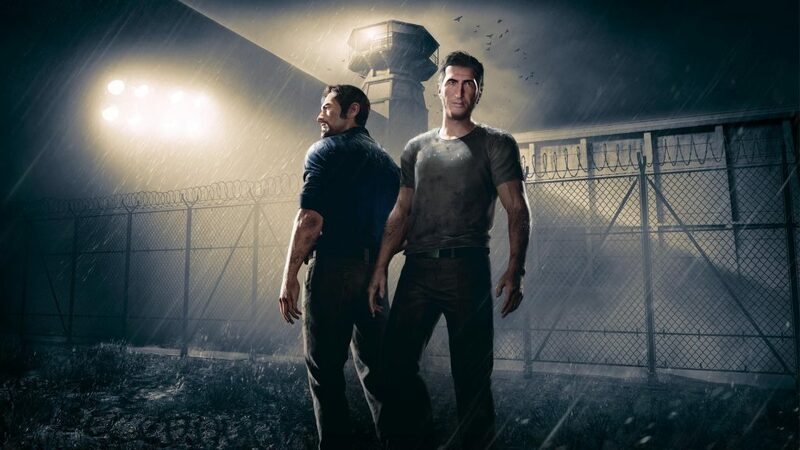 A Way Out is an upcoming co-op game that lets two players escape from prison and go on the run together. What do you think of the trailers released so far, and what are you most excited to do in the game? Let us know!